I had this ready to post yesterday, but it didn’t feel right after everything happening in Manchester. Keep safe everyone. So here is a very late round up of what week three of Me Made May looked like in my world. 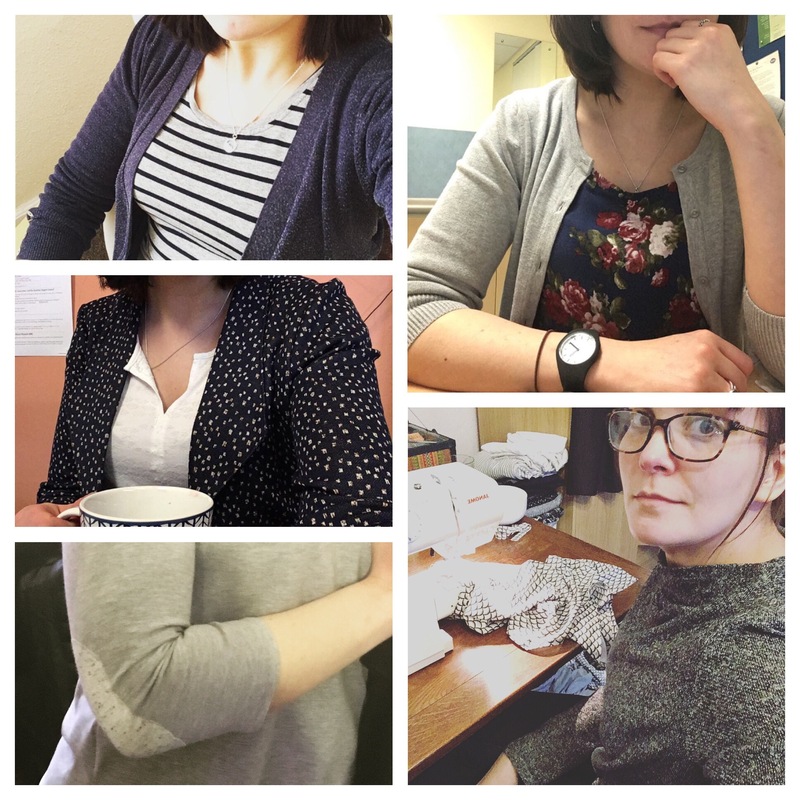 On day 16 (which I believe was Tuesday) I wore a grey and navy stripy Renfrew tee with a RTW Cardigan (maybe I need to make more cardigans?). Day 18 I wore a floral viscose blouse I had made by tracing a RTW top… and another RTW Cardigan (yep, definately need more cardigans). On day 19 I wore my ponte Morris Blazer to work. I do love that Blazer. Day 20 I spent at my sewing machine so opted for a cosy French terry Toaster sweater. And finally on day 21 I wore an as yet unblogged Plantain tee… but I made some modifications to that one to watch this space to hear more. A bit more of an effort on the work front, and a definite lack of Me Made Cardigan action!! Must work on that!